Since 1966, Built-In Vacuum System Specialists have been the central vacuum experts in the New Jersey and New York areas. From day one, we decided that we were going to be the best resource for central vacuums and provide the best service in the industry to our customers. Our owner, John Grabowski, has almost 50 years of experience, and personally works on every installation. We are committed to making your home cleaner and healthier through the installation and service of high-quality, powerful MD Manufacturing central vacuums. Whether upgrading an existing system, or installing a system in a new or existing home for the first time, we are the go-to team for New Jersey and New York residents for the best service around. We are passionate about central vacuums and how they can enrich your life. We hope you will choose us for all of your central vacuum needs. Why Built-In Vacuum System Specialists? 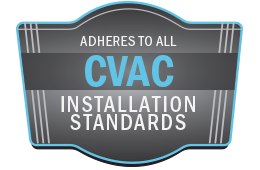 Built-In Vacuum System Specialists, your one-stop source for all your central vacuum needs!